Location: Randalstown, County Antrim, Northern Ireland. Notes: Shane's Castle is a ruined castle near Randalstown in County Antrim, Northern Ireland. The castle is on the north-east shores of Lough Neagh. 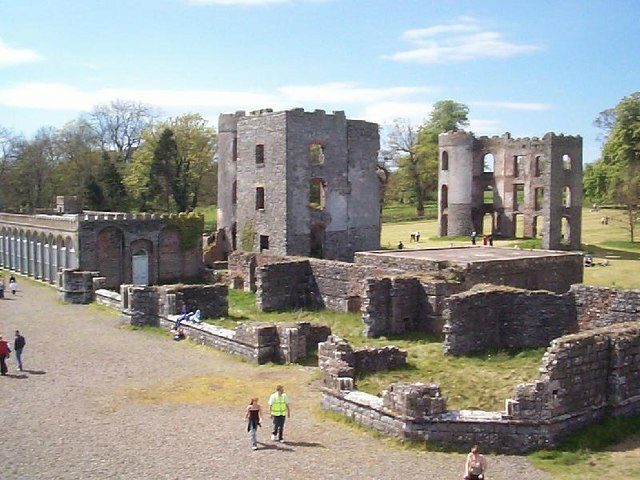 Built in 1345 by a member of the O'Neill dynasty, it was originally called Eden-duff-carrick. Shane MacBrien O'Neill changed the name to Shane's Castle in 1722. A terrace was built about the year 1800, and in 1812 work was started to rebuild the castle to the designs of John Nash but the castle was devastated by a fire in 1816 and work abandoned. Only Nash's camellia house survives. In the 1860s a second house was built by Charles Lanyon and William Henry Lynn of Lanyon, Lynn and Lanyon, for the 1st Lord O'Neill. The demesne covers 2,600 acres along the shores of Lough Neagh. "Shane's Castle in Ireland". RonsAttic.com. Retrieved March 11, 2010.